Gooty, Rapthadu, Pamidi Samudram, and B. K areas, of the B.K. Samudram region. 5.920 families in the Gooty, Rapthadu, Pamidi y B.K. Samudran areas of the B.K. Samudram region, thanks to the installation of 8 drinking water wells. With an estimated consumption of 3 to 4 litres of water per person per day, the projected consumption of a family of 5 would be 20 litres a day, including both the water drunk and that used for cooking. The lack of drinking water is a serious problem that affects the quality of life of people in both urban and rural areas. Women and children are forced to travel great distances in search of drinking water, which is often contaminated due to different factors. Anantapur is one of the most arid districts of the state of Andhra Pradesh. The Rivers Pennar, Hagari and Chitravathi, which run through it, are dry for months due to the scant impact of the monsoon rains between the months of June and November. a) The general goal: To guarantee health cover for the entire population benefitting from the integrated development plan the FVF is carrying out in the districts of Anantapur and Kurnool. 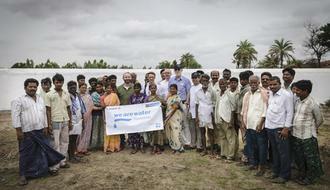 Short term: the digging of 8 wells and the installation of 8 hand water pumps for the drawing of drinking water. Medium term: To provide access to drinking water for rural communities by digging wells and installing hand pumping systems. Long term: To prevent and reduce diseases caused by the lack of drinking water in rural communities. The lack of drinking water is a serious problem that affects the quality of life of people in both urban and rural areas. Women and children are forced to travel great distances in search of drinking water, which is often contaminated due to different factors. Anantapur is one of the most arid districts of the state of Andhra Pradesh. The Rivers Pennar, Hagari and Chitravathi, which run through it, are dry for months due to the scant impact of the monsoon rains between the months of June and November. Contamination of both rivers and groundwater alike is a serious problem that aggravates the general scarcity of water for different uses. Despite public investment in sanitation and water infrastructure, many low-resource communities in India still lack access to drinking water. 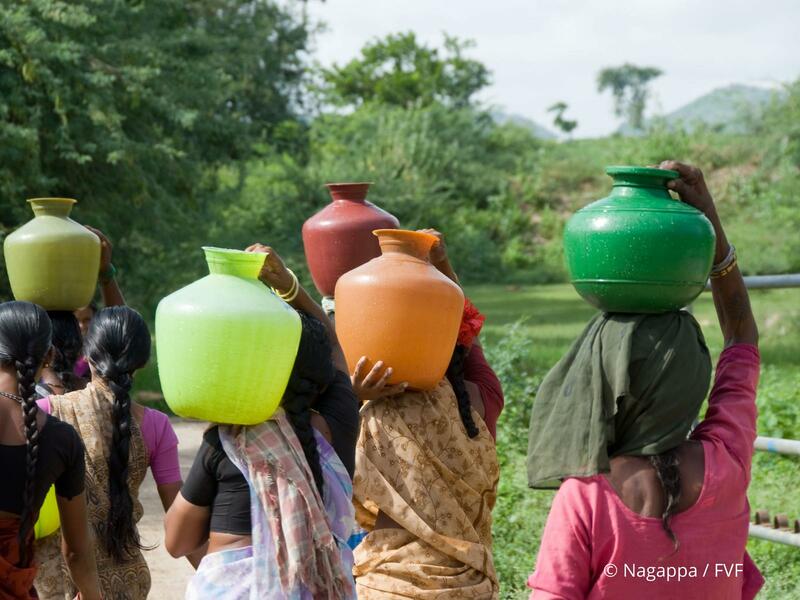 This drinking water access project forms part of the programme for the development of a RDT/WDT rural health network, with the aim of guaranteeing access to health by all those living in Anantapur and Kurnool Districts. What are the advantages of hand-operated water pumps? 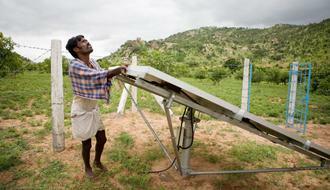 • They save time and energy, as families no longer have to walk long distances to fetch water. • They improve personal hygiene and the cleanliness of the surroundings. • They help with the cultivation of vegetable gardens and the maintenance of livestock. • They allow for work—especially housework—to be more productive. • They reduce the workload on women and children, so they can have more time for their personal activities. • They increase harmony in the community by reducing conflicts associated with the lack of water. The wells work using a pump that is hand operated. 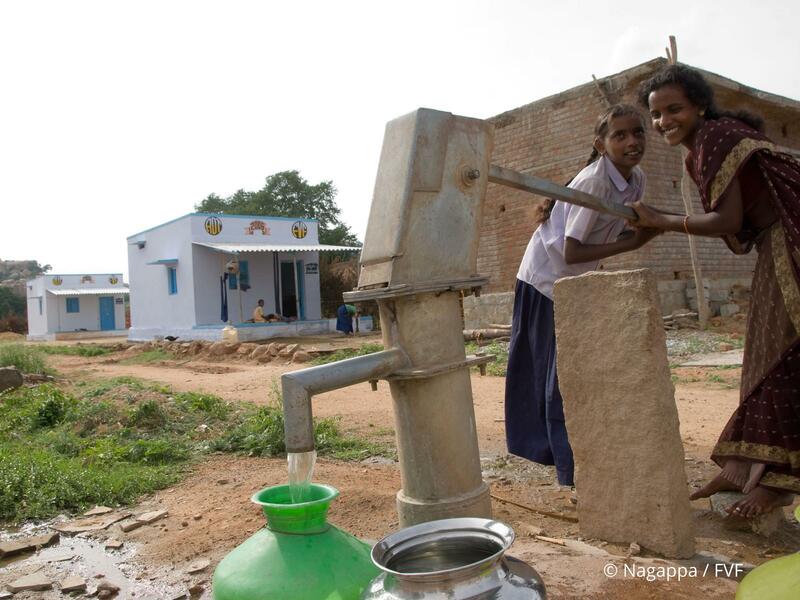 Each water pump provides drinking water for around 75 to 100 families, in other words, between 300 and 400 people. 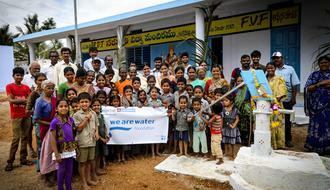 We will be digging 8 wells and installing 8 hand pumps in 8 villages in the areas of Gooty, Rapthadu, Pamidi and B.K. Samudram, in the B.K. Samudram region. To be able to rely on the drinking water, we need to properly identify the water points, dig the wells and install pumps to bring the water to the surface. The project object of this proposal embraces the digging of wells, the installation of hand-operated water pumps and the start-up. These systems are a highly effective measure for meeting the immediate needs of rural communities far from urban centres, who are denied a reliable water supply. 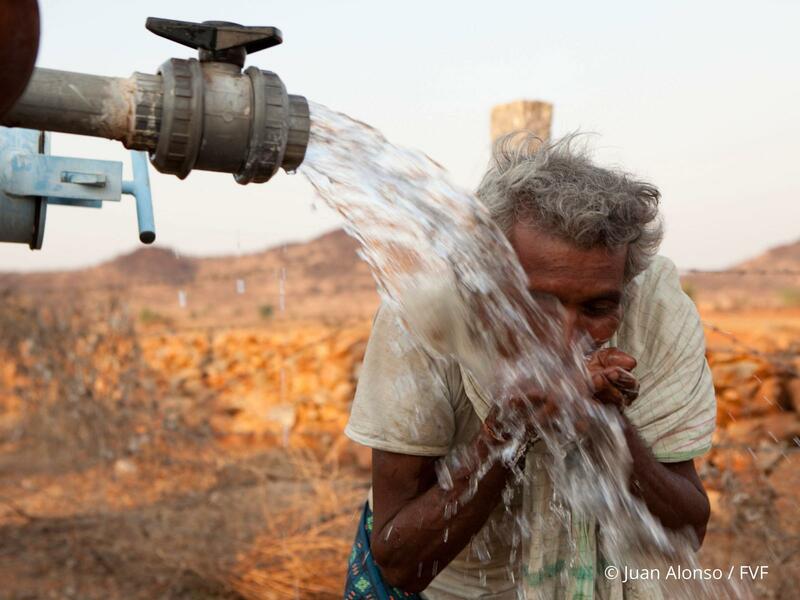 This situation gets worse in the summer, when families are faced with a severe water crisis.